"I'm not in the business of hurting people," Copperfield said amid a lawsuit by a British tourist who claims he was injured in a fall. 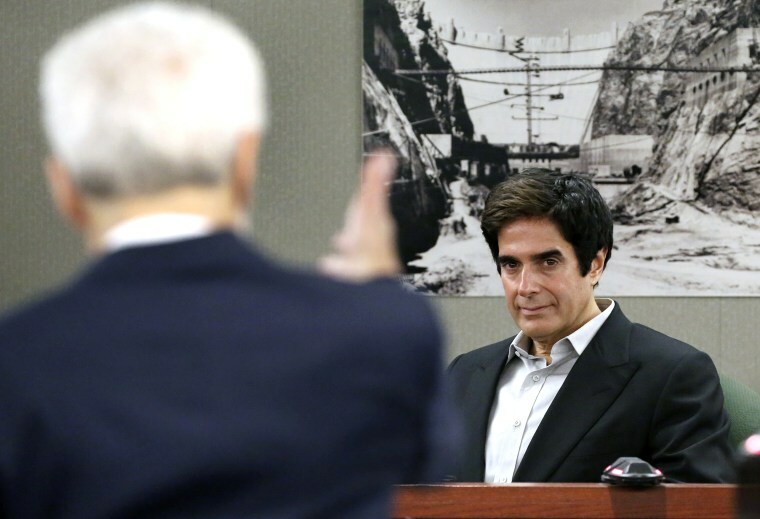 LAS VEGAS — David Copperfield insisted Tuesday that he knew of no one being injured during 20 years of performing a signature vanishing act at the center of a lawsuit by a British tourist who claims that he was seriously hurt in a fall during a Las Vegas performance. Amid complaints from his lawyers about widespread media coverage, the world-famous illusionist returned to the witness stand in Clark County District Court, telling a Nevada jury about the trick that makes people seems to disappear on stage and reappear in the back of the theater. At least 55,000 audience volunteers have taken part in the illusion over two decades, according to Copperfield and show executive producer, Chris Kenner, who testified last week. In about 60 to 90 seconds, stagehands with flashlights hurry the randomly chosen participants past dark curtains, down unfamiliar passageways, around corners, outdoors, indoors and through an MGM Grand resort kitchen to re-enter the theater and "reappear" for the show finale, according to testimony. Copperfield remains on stage the entire time. Benedict Morelli, attorney for Gavin Cox, has characterized the route as an obstacle course and the pace as dangerously fast for people who might not have appropriate footwear and are not told in advance what they will encounter. Over the objections of Copperfield attorney Elaine Fresch, Morelli asked Copperfield if he thought the number of people not injured by the illusion over the years suggested that it was safe.